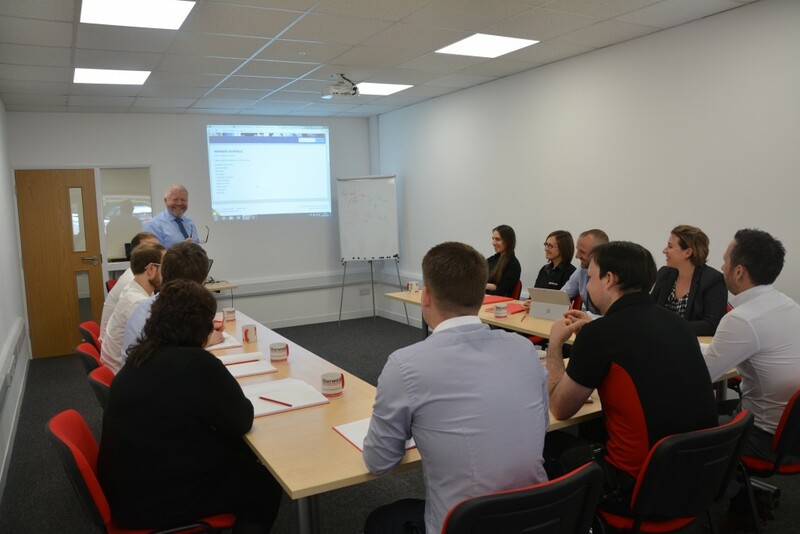 Sherwoods Building Services Engineers have their own bespoke Training and Development rooms, as well as ensuring that our internal teams are up to date with relevant Health and Safety information, the fully accredited courses are offered to our external customers at fantastic rates. Our courses cover all aspects of compliance including Emergency First Aid, Manual Handling, Principles of Risk Assessment to name a few. Sherwoods training suites are located on the Brunel Trading Estate in Newton Abbot with direct access from the M5 and South Devon Link Road, with free parking and great location we offer the rooms for hire as an informal meeting space, training days or seminar rooms for 1 to 25 people. Each room is newly refurbished by the Sherwoods team and include adaptable furniture, HD projector, Heating and Air handling with access to free of charge Tea and Coffee to ensure a comfortable, productive visit. Sherwoods have also partnered with a local firm to provide bespoke lunches and refreshments for longer meetings should this be required. ALL ROOMS ARE AVAILABLE BETWEEN 8AM – 8PM, 7 DAYS A WEEK. We offer a ‘Just book and turn up’ or a managed service. Our team can take care of everything else: from the latest audio-visual and presentation equipment through to administrative support, printing and preparing handouts. What services do you need? Enter your details below and we’ll contact you!